Are you looking for an entry-grade piano? Then you should take a look at this unit from the brand Alesis! Get to know more about this piano by reading this Alesis Coda Pro review! The battle for piano supremacy never ends. As long as enthusiasts continue to hunt for the best option out there, manufacturers will never stop producing pianos, too. After all, that's the case of the brand Alesis. Specifically, one of their latest units, the Alesis Coda Pro, might be the piano that your fingers are itching to play. Alesis has been in the piano industry for many years already. Some of you might haven't heard this brand already, but they among the top producers of digital keyboards today. Of course, it is undeniable that their recent release (the Cadenza series) on 2011 was a failure. But with the Alesis Coda Pro, things are starting to get good for them. The Alesis Coda Pro was officially introduced at National Association of Music Merchants (NAMM) on 2015. It was released together with the Alesis Coda. Apparently, these keyboards are ideal for amateurs to intermediate keyboard players. Keith Barr was the one who designed the Alesis Coda keyboards. Therefore, you can expect a lot from these. Specifically, the Alesis Coda Pro is highly portable and affordable. Therefore, picking this one is something that wouldn't be disadvantageous on your part. Moreover, the sound quality and overall performance of this piano are truly superb, too. Nothing is regrettable about this piano, indeed! 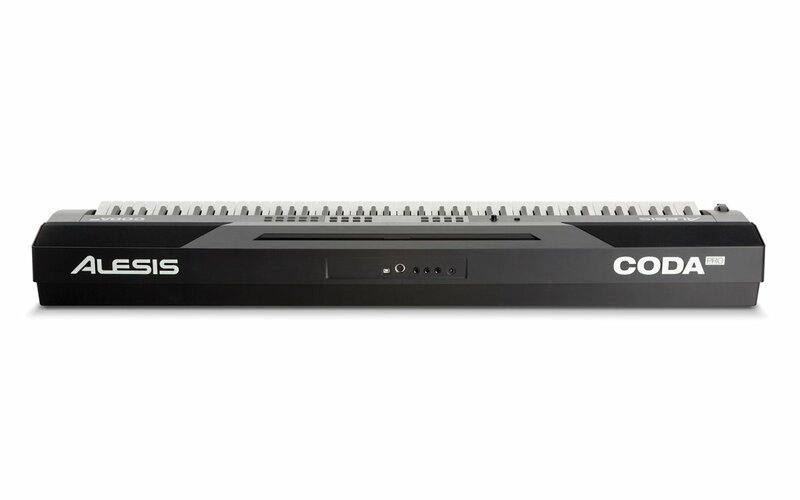 In this article, we will give you a thorough examination about the Alesis Coda Pro. In here, you will discover why choosing this digital keyboard is a form of investment. So what are you waiting for? Read on! As we stated earlier, the Alesis Coda Series presents two models of digital keyboards. They are the standard Alesis Coda and the Alesis Coda Pro. Obviously, each of these pianos has different prices. Although the difference in their value is not that great, we deem that choosing the Alesis Coda Pro is a much wiser choice. At first, you might think that these pianos have the same design. Of course, it is easy to assume such considering that they are both using 88 keys. However, the Alesis Coda Pro is a full weight digital piano. Its cousin is just semi-weighted. As a result, you can't get that satisfying feeling in your fingers if you will choose the Alesis Coda. We all know that keys with weighted action better performance and control to the keyboard. Therefore, it is quite safe to say that the Alesis Coda Pro is the ideal pick for piano learners and teachers as well. 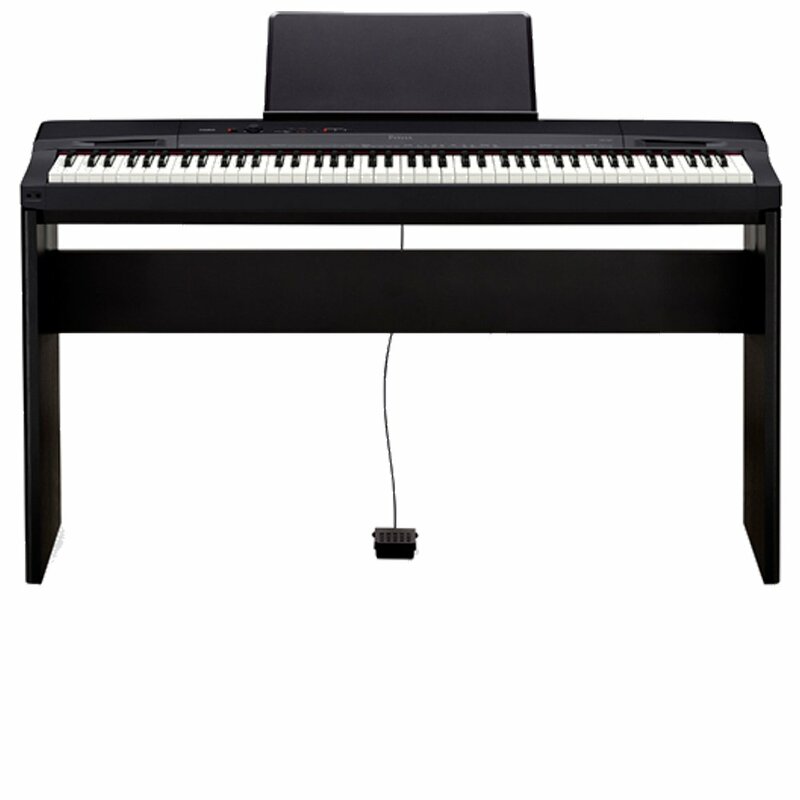 Even live performing players will find great benefit from using this digital piano. The manufacturer also sells an additional accessory for the Coda Pro Series keyboards. You can opt to purchase the specially designed piano stand for these keyboards. With this component, you will be able to convert the Coda Pro into an upright piano. If you got extra bucks to spare, getting the keyboard stand is advisable. Aside from its sleek wooden furnish, the stand also possesses functionality. Specifically, it comes with three pedals (sustain, soft, and sostenuto) for enhanced versatility in your playstyle. You can also connect the stand to the digital piano by only using a single wire. The perks that you can get from Alesis Coda Pro is quite mesmerizing. Considering that this keyboard is just an entry-price choice, the features it has is seemingly too much. It is getting more than what you have paid for. Well, you should not label this as a marketing pitch. In this article, we listed the jaw-dropping features of Alesis Coda Pro so that we can prove to you that we are not bluffing. It can cover the full sound range of the piano, thanks to its 88-key setup. This piano has twenty default voices. Moreover, you can layer or split these voices at the same time. ​The Alesis Coda Pro has sixty built-in songs. It also allows you to record songs on your own with the use of its "User Record" function. ​It comes with a "Duet" function. This mode has fifty patterns of accompaniment. ​Alesis Coda Pro possesses exclusive sounds that were made by the industry's best virtual developers (the SONiVOX and AIR). ​The keyboard has a "Lesson" Mode which enables you to divide the piano into two sections. But despite the division, each of the areas has still the same voice and pitch. ​You can fully configure the EQ, Chorus, and Reverb effects. ​Alesis Coda is using a full transpose control and metronome. ​We should not forget that it got a sustain pedal, too. It got different outputs as well, such as the auxiliary headphone sockets. This keyboard also has tan stereo auxiliary input that you can use if you want to play with an external instrument. ​Meanwhile, the keys are using an authentic hammer action. Therefore, your experience in playing this piano will always remain genuine. With all of these given features, who doesn't want to grab the Coda Pro? It is like missing the biggest opportunity to get an excellent piano for an affordable price! You can quickly improve your skills if you choose the Coda Pro as your playing partner! Fortunately, you don't need to become a piano aficionado just to operate the Alesis Coda Pro. 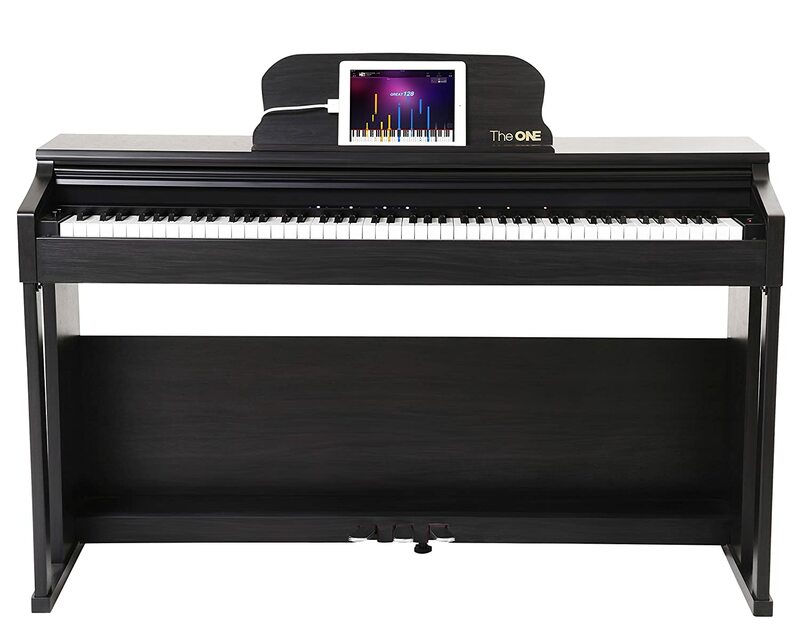 Unlike any other digital pianos, the Coda Pro does not require any computer-related setup. But you can digitally transfer your recordings and songs to computer devices by the use of a USB cord. Specifically, this keyboard is compatible with Windows 7 to 8 computers and MAC OS X 10.7 to 10.10 computers. Apparently, the Alesis learned its lessons from their previous failure, the Cadenza series. As a result, most of the upgrades of the Coda Series came from the shortcomings of their previous product. The first noticeable improvement of the Coda Pro piano is its aesthetics. 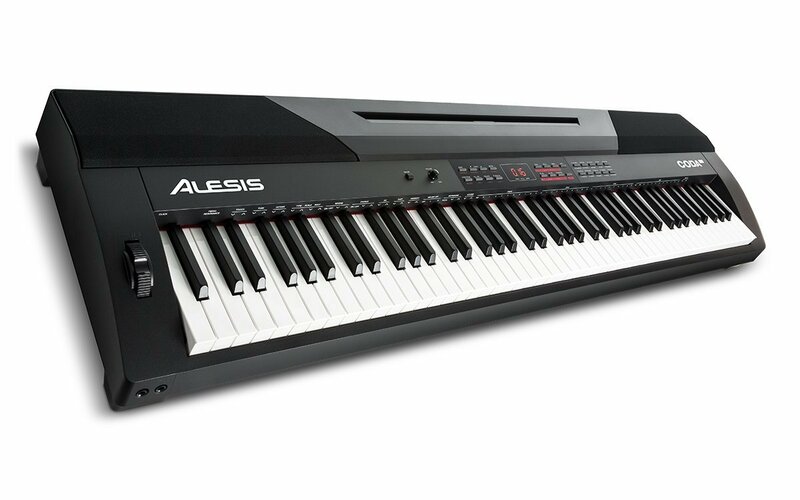 It is evident that Alesis abandoned the traditional looks of keyboards. Instead, they embraced the modern design, which is a plus point for many users. Specifically, the piano comes with two speakers on its chassis. Meanwhile, the Coda Pro has a major facelift improvement, with all the layout and interface being placed correctly. The hardware of Coda Pro is pretty impressive, too. With the mixture of matte and lucid finishes on its chassis, the Coda Pro became more elegant and appealing compared to its predecessors. Moreover, we like the portability of the Alesis Coda Pro. Although it is true that it is not as compact because of its 88-key scheme, this keyboard is still lightweight. In this Alesis Coda Pro review, we compared this piano with other digital pianos such as Yamaha DGX-660 and William Legato. And among them, Coda Pro is the lightest. Specifically, it has only a weight of 27.6 pounds. The interface of the Alesis Coda Pro offers you a myriad of controls. Such of these are its LED display and 16-control buttons for MIDI, Patterns, Metronome, and other modes. There is also additional ten buttons that you can use to play with its built-in voices. Moreover, you can explore other control options by the use of its "Shift" button. There is a pitch wheel on the left of the keyboard that you can use to lower or raise the notes of the keyboard. On the opposite side, the USB port, Sustain jack, MIDI out, and power jack is present. Meanwhile, the headphone outputs are placed in the front portion of the piano. People won't forget how awful the sounding of the Cadenza grand piano is. It was one of the biggest regrets of the Alesis. That's the reason why this company focused on improving the sound quality of the Coda Series. In fact, they tapped AIR and SONiVOX to help them in amplifying the sound of their latest keyboards. If you lurk in the market today, you can notice that the Coda Pro is now among the best entry-grade digital pianos. They are even at the same level as the Yamaha P-45, which is pretty remarkable already. Specifically, the mid and lower notes of the Coda Pro are exquisite! Meanwhile, we can notice that the tone of this digital keyboard is warm, rich, and organic. Apparently, it is due to the 64-note polyphony technology that the keyboard has. This particular innovation enables you to sustain various notes while the "Split/ Layer" mode is active. The sound versatility of the Alesis Coda Pro is something that you have to look out for. The availability of 20 different presents will allow you to maximize your playing style. The built-in sounds include Vibraphone, Clavinet, and Harpsichord voices. Moreover, it also got different tones of Grand Piano and Electric Piano as well. Of course, it won't be complete if the organ, harmonica, and accordion sounds are not there! As we highlighted earlier, this piano can layer or split two tones simultaneously. Moreover, it can do the same functions at one. Moreover, you should not worry about the sound, thanks to its polyphony. Because of this capability, the Coda Pro can produce a vast array of rich tones. We can even say that the versatility of this piano is better than its counterparts in Yamaha. Also, the integration of DSP allowed the Alesis Coda Pro to become an excellent piano of choice. Of course, we should not forget to emphasize the weighted hammer action of this instrument. It is among the biggest improvements that Alesis did for their pianos. We all know how horrible the key bed of the previous Cadenza. Nobody wants to remember that thing anymore. Honestly, you can still hear "tapping" noises, but it is not that audible. In short, this keyboard already the standards of the industry. 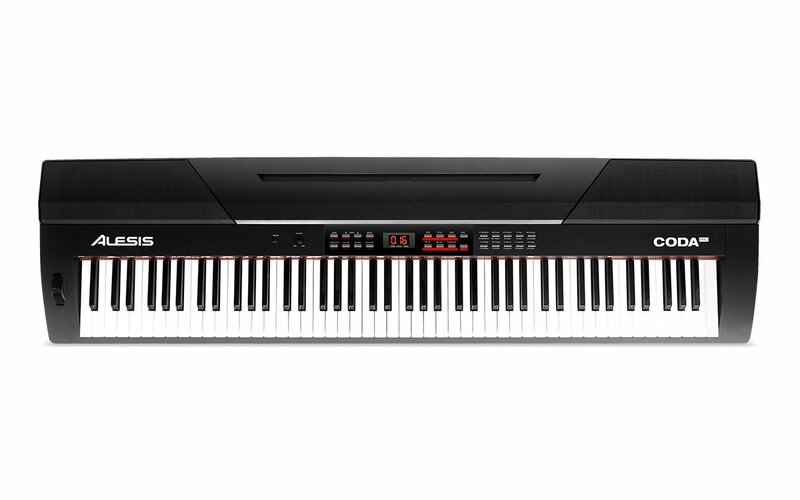 The Alesis Coda Pro is a must-get digital keyboard. There is no doubt about it. When it comes to sound and performance, this piano is a fascinating choice. But we will never deny that it the choice for professional players. If you are looking for high-end pianos that offer better control and sounding, then you should scratch Coda Pro from your list. Other than that, this keyboard is great on its own. The Coda Pro keyboard is the redeeming opus of the brand Alesis. As we mentioned earlier, this keyboard has authentic sounding and outstanding aesthetics, too. It is easy to use and can be used in various applications, thanks to its portability. It is not the best entry-price piano out there, but it is a good match for prominent piano brands. If you are torn between Coda and Coda Pro, just remember always to account your preference. Aside from learning, the main reason you play the piano is to have fun. But if you are planning to become a professional player, we recommend that you should start with the Coda Pro. This option will introduce you to the basics of using the keyboard. Eventually, you will realize that you made the right choice. You can opt for other piano brands as well. We want to emphasize that the Alesis Coda Pro is just an option. But among the choices that you have, this digital keyboard should be on your top list. Did you learn from this Alesis Coda Piano review? If yes, then share your love to us by sharing this article to your social media accounts! What are your thoughts about this piano? Tell us your comments and questions in the box down below!